See the CCM High Tab to the left for *NEW* details regarding the 2019 HP14 and HP15 Opportunities for both boys and girls. District 9 Winter Meeting tentatively set for Wednesday, February 6th at 7:00 pm. Location of the meeting is in the Magnolia Room at the Best Western Centerstone Soldier Field in Rochester. This is the hotel that has Twigs restaurant attached. Reminder that representation from all Associations is required at District Meetings. District 9 Fall Meeting tentatively set for Monday, September 17th at 7:00 pm. Location of the meeting is in the Magnolia Room at the Best Western Centerstone Soldier Field in Rochester. This is the hotel that has Twigs restaurant attached. Reminder that representation from all Associations is required at District Meetings. Check out the Opportunities tab for exciting clinics, camps, and other events to help you improve over the holidays and year around! WELCOME TO DISTRICT 9 HOCKEY! 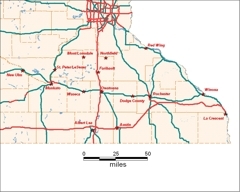 District 9 was developed in 2010 by Minnesota Hockey and covers south central and southeastern Minnesota, from the Wisconsin border to St. Peter and from Faribault/Northfield to the Iowa border. To see District 9's By-Laws and Operating Procedures, select the "BOARD" link above and then choose the Operations tab on the left side of the webpage. Association payments are due by December 31, 2018. If you have any questions about this billing, please contact Troy at tcmarquardt@gmail.com.